Malcolm Teasdale was born in Newcastle in 1944. His early career years were spent as a teacher before becoming a full time artist. Malcolm Teasdale roots are firmly planted in the North East of England. His forefathers were lead miners working the seams on bleak Alston Moor, and successive generations coal mined in Tynedale and close to Newcastle. Malcolm Teasdale was born in the district of Elswick. He has lived and worked for much of his life near to the city of Newcastle. It is an area whose character and landscape has been much defined by its industrial history. 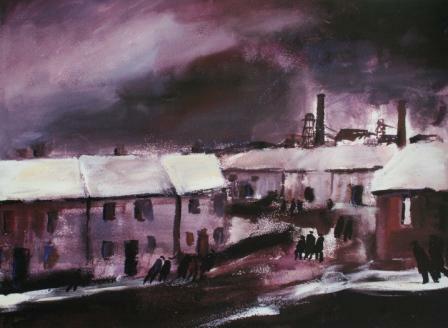 Much of Malcolm's art work has arisen from the industrial history of the North East. 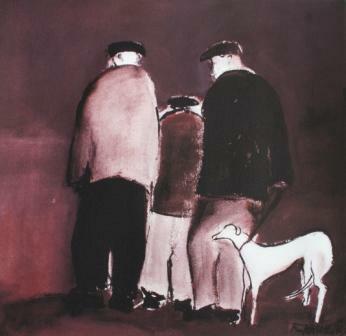 Malcolm Teasdale's love of the North East and his genuine admiration for the scenes and characters of the area is evident in the strong sense of community and camaraderie that defines his highly evocative British art work. 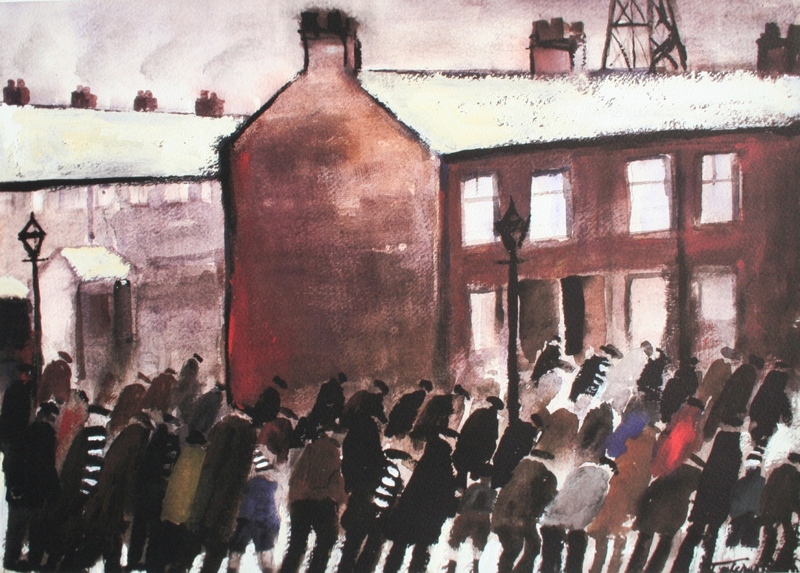 It is the honesty of Teasdale's approach that differentiates his paintings from many of his contemporaries. Malcolm has an extraordinary ability to convey the reality of everyday life and the atmosphere of each scene, rather than simply to recreate the literal image. In addition to Red Rag Art Gallery Malcolm Teasdale art work and Limited Edition Prints have been exhibited at a number of other British Art Galleries. Each limited edition print at Red Rag is sourced from the Malcolm Teasdale artist studio and like all Red Rag British art it can be shipped worldwide.